Our Programs, Workshops, and Webinars are designed to streamline the management of your practice, increase revenue, reduce stress, and balance your professional and personal life. Get to know our Certified Practice Advisors, Experts, Facilitators, and more. Atticus is the only attorney coaching firm that certifies our coaches. A exceptional coach is worth their weight in gold, and you’ll have the best in industry! Articles, coaching advice, downloads, webinars, and more! Explore our growing collection of FREE Resources designed to address key issues attorneys and law firms experience. 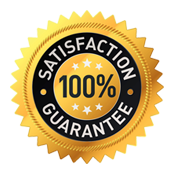 All Atticus programs offer a 100% money-back guarantee if you are not satisfied. Explore our coaching and practice management services. Meet our Certified Practice Advisors and Coaching Experts. Discover how our coaching services have transformed our clients’ law practices. I'M A GREAT LAWYER. WHY AM I NOT MAKING MONEY? I’m a great lawyer, but my REVENUE IS DOWN & OVERHEAD IS RISING. Law school taught you how to research and argue either side of a case. It even taught you a little Latin. But law school did not teach you how to run a successful practice. It doesn’t matter how brilliant an attorney you are if you don’t understand how to grow revenue and control costs. Even the greatest legal skills can’t overcome sagging revenue and rising overhead. Our Practice Advisors specialize in helping solo and small firm practitioners transform struggling law firms into profitable businesses. Client development – We’ll show you how to find the right kinds of clients for your practice so that you can stop accepting the ones you don’t want. Cash flow management – We’ll teach you to prioritize cases that are more profitable and show you bottlenecks that slow your practice down. Staffing – We’ll share proven strategies and resources for finding and training a team of all stars to turn around your practice’s profitability. My practice is overwhelming me. I NEED LESS STRESS & MORE CONTROL. Without key business skills in place, the practice of law is overwhelming. Once you understand and master these skills, you really can have it all. You will better manage your time and focus so that you can spend quality time with loved ones, manage your practice more efficiently, and take much better care of yourself. We can help. The Atticus Advantage™ will turn your practice into a business that supports you and your life, not the other way around. You will create the kind of practice and the kind of lifestyle that you dreamed about when you were in law school. Time management – We offer attorneys effective strategies and resources to help regain control over your workday and personal time. This includes developing a focus on top daily priorities, eliminating interruptions, and developing a schedule with dedicated periods for marketing, production, meetings, special projects, and personal time away from the office. Habit building – We show attorneys how to implement new “good” habits into work and personal routines and how to unlearn poor habits that result in procrastination and feeling like you have no real control. Goal setting – Our tools help attorneys identify, define, and map out action steps toward meeting goals and deadlines. This includes daily, weekly, quarterly, annual, and lifetime goals. Along the way there is an accountability structure with support calls and implementation assistance. My practice is successful. But I’m ready to play a MUCH BIGGER GAME. Highly entrepreneurial attorneys tend to build a successful local practice and then one day realize they’re ready to take the business to the next level, but they’re not sure how or what’s their next logical step. Perhaps they’ve got ideas for creating innovative new services or products? Or maybe they’d like to expand the firm into a national practice? Whatever their aspirations, the Atticus Advantage™ provides these attorneys a roadmap to that success. The Strategic Pathway™ – Atticus’ programs are designed to help attorneys make the leap from being a legal technician who happens to own a practice, to being an effective business owner who is growing a strong practice, and finally to the level of a market dominate force. If you have dreams of something much, much bigger than what your practice currently looks like, we will help you make them a reality. The 5 Challenges – Each of our quarterly programs has its own unique set of challenges for members as they complete their path. These are not lofty goals; they are achievable milestones that will elevate your practice and your life. My Great Life™ – We want you to not only have a profitable growing practice, but also a remarkable personal life. That means having time for loved ones, doing the things you most enjoy, and achieving whatever lifetime legacy you envision. We help you declare your personal and professional lifetime goals and then walk you through developing a roadmap for achieving them. Our mission at Atticus is to keep you focused on what’s really important in your life, to provide you with the training and skills necessary to build and maintain a sustainable practice, and finally, to provide a structure of accountability and support for achieving your goals. Find out more about programs for law firm owners who want to grow their practices to the next level. Over the last 29 years, Atticus has trained well over 20,000 attorneys through seminar and training programs with bar associations, law firms, and private organizations serving the legal profession nationwide. Our Programs, Workshops, and Webinars will help streamline and optimize the management of your practice, increase revenue and income, reduce stress, and develop a greater career satisfaction. Start your practice down the right path with our Practice Growth Diagnostic™. Learn more about our structured practice diagnosis and assessment. How can the Atticus Advantage benefit you? Learn simple, but powerful, tools to take control of the clock. We teach our attorneys how the flow of the day can be a friend and not an enemy. Marketing is crucial to growing a successful practice. We help lawyers recognize and accept only really great clients and how to teach referral sources to send the firm more business. Attracting and leading the right team is not the main thing; it's the only thing. Atticus will help you untangle that knot and make coming into your office a joy, and peace of mind when you're away. This is a business, and you have to run it like it is. Drawing from the thousands of law offices we have worked with, we teach you the simple steps to making certain your practice not only survives, but thrives. See how Atticus’ Programs, Workshops, and Webinars have transformed our clients’ law practices. Atticus has been a game changer for me and for my practice. I came to Atticus as someone who already had a successful and well run practice. With the help of Atticus I have taken it to the next level. The practice is larger, more profitable, better run, and as a result of developing additional skills, I am now spending substantially more quality time with my family – which is the real reason any of us do this. Attending the Atticus program has been one of the most rewarding things I've ever done for myself and my practice. It has changed my way of thinking and practicing law. Atticus has enabled me to provide exceptional legal representation to my clients, while enabling me to spend more time with my family without sacrificing our financial stability. In fact, I'm working less, spending more time with my family, while making more money. I can't recommend Atticus enough. …nine years later, I find that the environment has significantly changed, both in technology and economy. I knew that attending another [Atticus] Workshop would be just what I needed to get back on track and succeed even as others will continue to struggle in this financial market. The four (4) week follow-up to keep the ball rolling helps us to cement the ideas, systems, and work habits that make the program so successful. Many thanks to all of you at Atticus for your continued support. I am happy to write about my experience at the program. I believe it will be the best thing that I have done for my practice and personal life. Just attending the [Atticus Program] gave me some concrete advice and tips for increasing my billable time capture and immediately increasing my revenues for thousands of dollars. Having already been involved with Atticus through the Rainmakers, I realized that my practice and I could use even more of a push in the right direction. The [Atticus Program] and follow up phone conferences have provided that push. I feel a new energy about my practice. I feel that I have direction again, and am charting a course in the right direction. I am gaining more control over my time, my staff, my clients and my life, and seeing that — while it makes my life easier — it is having the same effect on everyone else in my practice. I would recommend the course to anyone who is frustrated with the course their practice is taking and wants to make a positive change in their life. The [Atticus Program] was a wonderful experience for me. Bottom line, I feel that the [Atticus Program] helped me confirm for myself that, with the right tools and discipline, I have the ability to control, work on and build my practice, instead of the reverse situation — my practice controlling and "working" me to death. I feel confident that I can reduce my time in the office, while increasing my income and the quality of my personal life. My attendance at the [Atticus Program] changed the way I look at how I plan to live both professionally and personally. The concepts, strategies, and systems to which they introduced me, opened my eyes to just how efficient and successful I could become without sacrificing personal time with my family and friends. Since returning and implementing the systems, I can attest to an increased enthusiasm in myself and my staff. It was an invaluable experience! Atticus provided me with the tools (and the support to ensure that I implemented these tools) with which I was able to prove that providing excellent legal representation for my clients, being financially successful, and spending time with my family were not mutually exclusive. In fact, the synergy of the success I have enjoyed in each of these areas has greatly benefited not only me personally, but my staff and of utmost importance, my clients. James Joseph Joseph Law Group, P.C. I've taken away the hiring and firing process by learning how to hire and how to conduct interviews, so that was really key for me. Also putting into place a bonus structure. Without a shadow of a doubt it [Practice Growth Program] has changed my practice tremendously. It would not have grown had I not participated in this. What we’ve been able to do is…I’ve been able to take weekends off, which was always a bonus because before I started the program I wasn’t able to do so, so that’s been a real help to me personally. I would strongly recommend anybody who’s trying to get to the next level of their practice to consider this program [Practice Growth Program]. Kevin Urbatsch Urbatsch Law Firm P.C. Working with Atticus has been a transformative process on every level. In my personal life, I have made some substantive changes that have been life changing. In my business, I have made more money in the last two years than I ever have. On both fronts, I am happier than ever. I attribute much, if not most, of this to Atticus. One of the biggest impacts of implementing some of the Atticus methods and principles is that I feel much more in control of my life and my business. Adam Loewy Loewy Law Firm, P.C. Explore our collection of FREE Resources designed to address key issues attorneys and law firms experience. In addition to our Growth Programs and Coaching Workshops, we offer several FREE resources for ongoing help in tackling many issues law firms and attorneys encounter – everything from advisory articles, coaching advise, ongoing coaching series’, live and recorded webinars, and much more. Discover valuable industry articles, practice management resources, Atticus happenings, and more. Get started with Atticus’ Practice Growth Diagnostic™. Learn more about our structured practice diagnosis and assessment.